Misericordia University is committed to creating an environment where all are welcome. We strive to make our facilities and technologies accessible to students, faculty, staff, and visitors, in accordance with applicable law and guidelines, in the spirit of hospitality. If you are a visitor to our website or are planning to be a guest on campus and have questions about accessibility please complete the web form so that we may direct your inquiry to the appropriate person. Misericordia University employs AudioEye assistive technology on our web site to insure that visitors using screen readers and others have access to an equal experience online. Locate the AudioEye icon in the lower right corner of the page. If you experience any trouble with the AudioEye Ally toolbar or accessing pages of the site, please fill out the AudioEye Help Desk form located in the Ally toolbar. 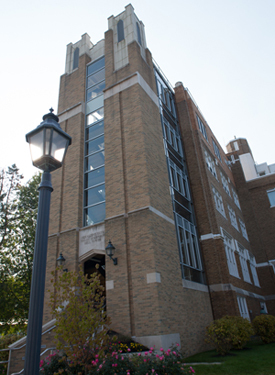 Misericordia University also employs BrowseAloud assistive technology software that adds text-to-speech functionality to university websites linked to from the university primary website. Locate the BrowseAloud icon in the upper right hand corner of our Athletics and Catalog pages. Students requesting accommodations should contact the Office of Students with Disabilities or visit the Student Success Center for more information. Faculty or Staff requesting accommodations should contact Human Resources.